Home is at the center of it. Maynard Realty, LLC is located in Barrow County, GA with Atlanta to its west, Athens to its east and Gainesville and the North Georgia mountains to its north. We serve Barrow, Gwinnett, Hall, Jackson, Madison, Oconee and Walton counties. Situated within the I-85 North and GA 316 (University Parkway) triangle, this area is a prime location to meet any of your Real Estate needs. Winder, GA (population 14,679 in 2013) with its recently completed downtown streetscape is the county seat of Barrow County and is home to the Barrow County Regional Airport (used by Zaxby’s and Chico’s as distribution hubs) and Fort Yargo State Park . 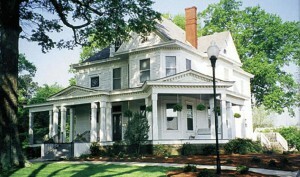 The smaller municipalities of Auburn (named one of the safest cities in the State of Georgia), Bethlehem (where thousands postmark their Christmas cards), Statham (known for its antique shops and The Georgia Club) are also located in Barrow County as is a part of Braselton (and Chateau Elan Vineyards and Winery with its Legends Golf course) also known for its antique stores and easy access to I-85. Barrow County is also home to Lanier Technical College’s Barrow County Campus (in 2015 named the best technical college in Georgia) where skills as well as core transferable college courses are offered in a new facility. We are minutes from the University of Georgia (Athens), Georgia Institute of Technology, Emory University, Georgia State University (Atlanta) and Brenau University (Gainesville). Many other colleges and universities are located nearby. 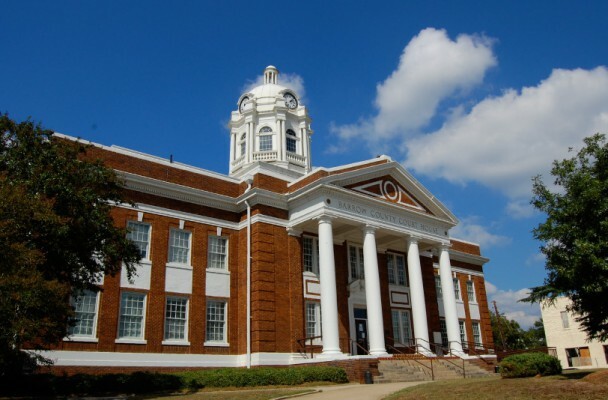 Athens, GA (a 20 minute drive from Winder) houses the Athens Regional Medical Center and St. Mary’s Hospital; the Northeast Georgia Medical Center is located in Gainesville and in 2015 opened a new facility in Braselton, GA.
Employment opportunities abound. Many small businesses are located in the area, and The University of Georgia and Caterpillar are two of the largest employers in close proximity to the area. CSX Railroad operates several spurs in Barrow County enhancing rail transport of goods to and from local manufacturers and distributors. Chico’s also operates its southeast distribution facility in Barrow County. For shopping and entertainment, Barrow County is home to many antique shops and the relatively new Barrow Crossing Shopping Center and The Gateway. You have only a short distance to travel to Athens where you will find many unique restaurants and more shopping not to mention UGA football! In nearby Banks County, you will find Banks Crossing outlets and Tanger Outlet Stores. The Mall of Georgia, one of the nation’s largest shopping malls is located only minutes from Barrow County on I-85. And, of course, Atlanta within an hour’s drive offers everything a big city can offer. For out-of-doors entertainment, Fort Yargo State Park is located within the city of Winder in Barrow County. Fort Yargo sees more visitors annually than any State Park in Georgia. The North Georgia Mountains are only minutes away to the north and the Georgia Coast is about four hours to the southeast. Lakes Lanier, Hartwell and Oconee are only short drives away from Barrow County. Zoos, other parks and botanical gardens are nearby. Use our knowledge and experience to find your home whether it be in a neighborhood, on acreage or a townhome. Use us to locate space for your business in an area where labor is readily available. Contact Maynard Realty, LLC to find your home in North Georgia!